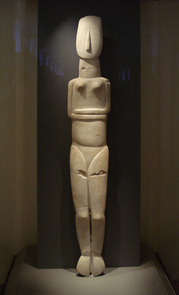 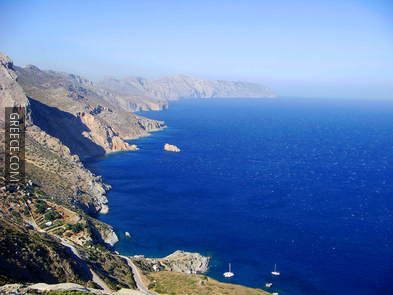 The island of the “Deep Blue” is located on the Southeastern edge of Cyclades. 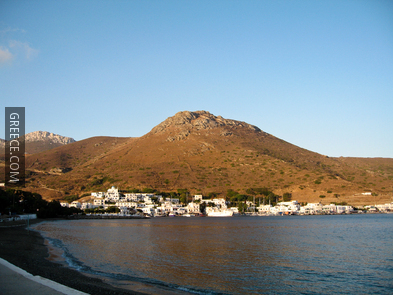 It is an elongated island with a unique mountainous morphology. 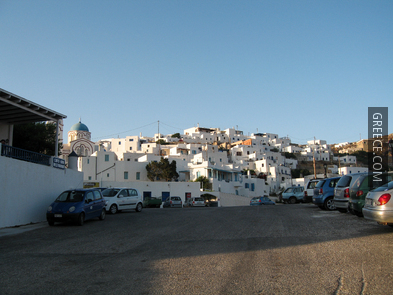 The surface area of Amorgos is 121 km² and it is inhabited by approximately 1,800 people. 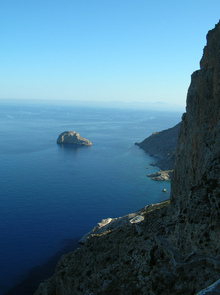 It features two natural ports: Katapola at the centre and Aigiali in the north. Today Amorgos receives a large number of visitors coming here to enjoy nature, the rough beauty of the landscape and the off-the-beaten-track way of life. 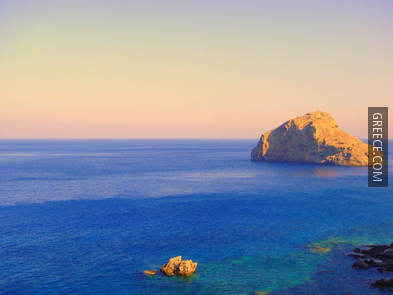 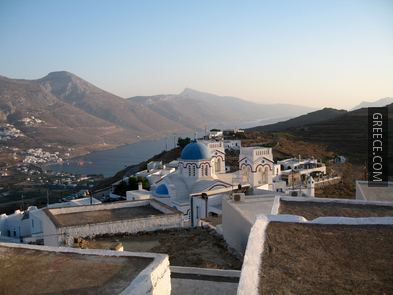 Due to its proximity to Asia Minor and ancient towns such as Militos, Efessos and Alikarnasos, Amorgos was one of the first places through which the Ionians passed, on their way to Cyclades and mainland Greece. 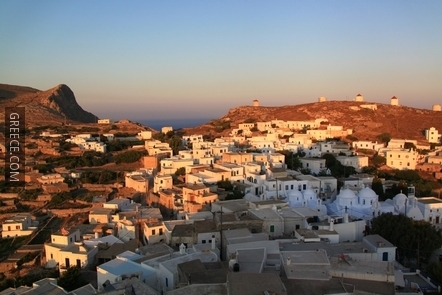 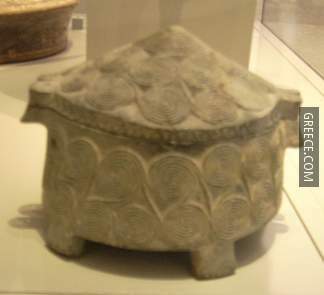 At that time, the island had three independent cities sharing the same currency. 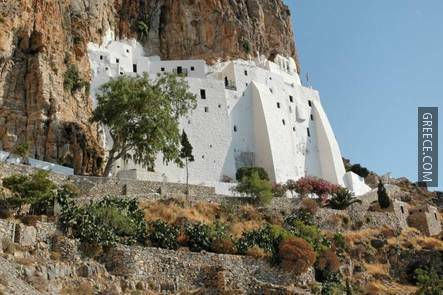 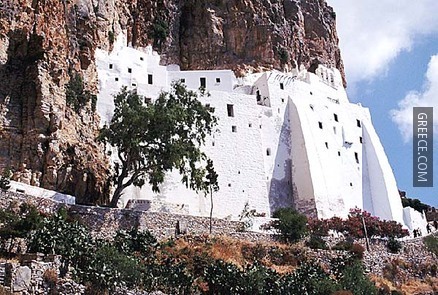 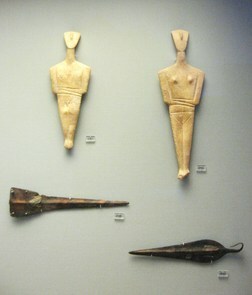 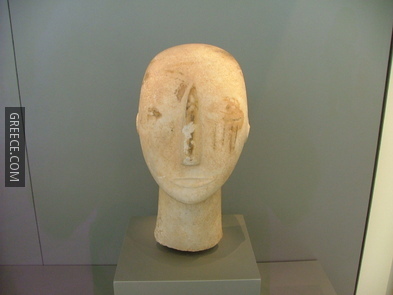 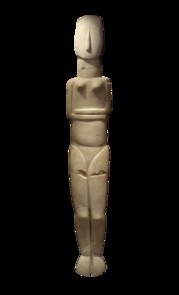 Artistic works, ancient towers and tombs, stone tools and many more indicate the size of the ancient civilization of Amorgos. 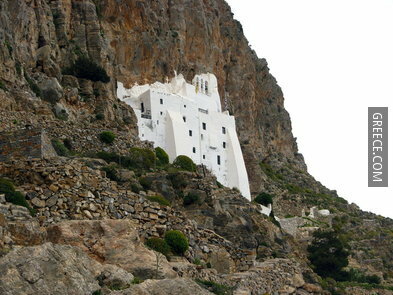 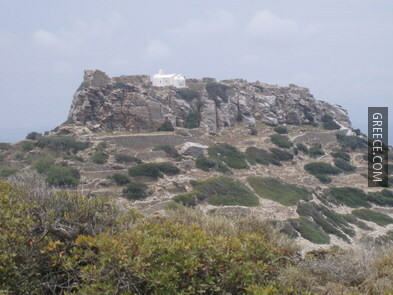 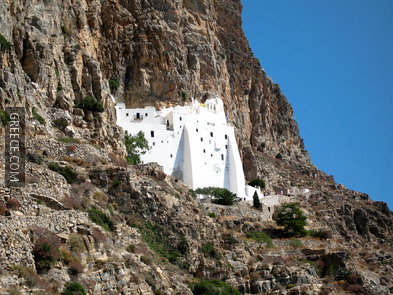 During the Middle Ages, Amorgos was ruled by the Duke of Naxos (William Sanoudos the Fourth), and in 1268, was captured by the Byzantine Empire; not long after, though, the Venetians and Genoese defeated the Byzantines, thus returning Amorgos to the rule of the Duke of Naxos, before being recaptured by the Ottomans in 1566. 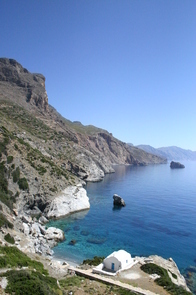 The geographical position of the island made it vulnerable to pirate attacks, resulting, at some point, in its complete desertion. 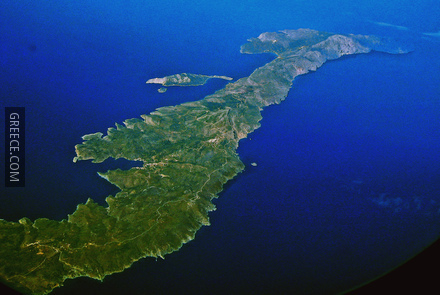 The island remained isolated even after the War of Independence, and has had a slower rate of development than other islands. 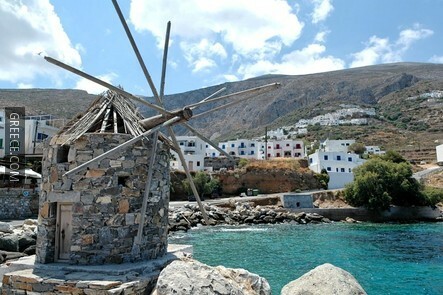 One could say that this indeed is one of its charms. 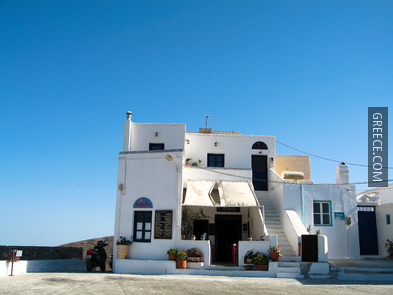 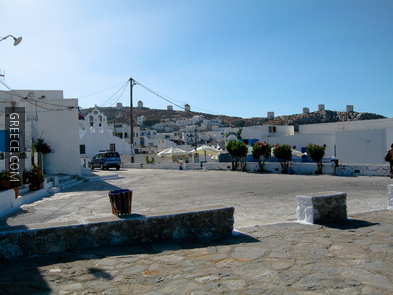 Hora: The main town is called “Hora” and is located in the Kastro quarter. 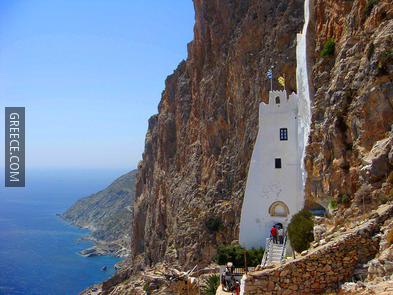 The village offers great views to the visitor; labyrinthine streets; a paved central square; and the chapel of –Agios Fanourios–, considered the smallest chapel in Greece having enough room for just two people. 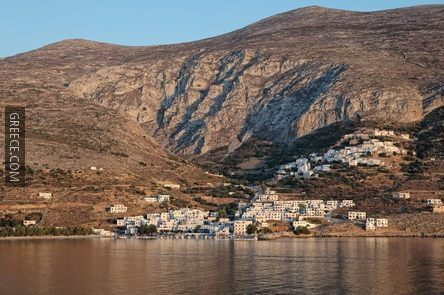 Katapola: It is the central port of Amorgos, set at the head of a horseshoe, and it actually consists of tree separate villages: Katapola in the middle of the bay, Rahid on the ridge and Ksilokeratidi on the north shore. 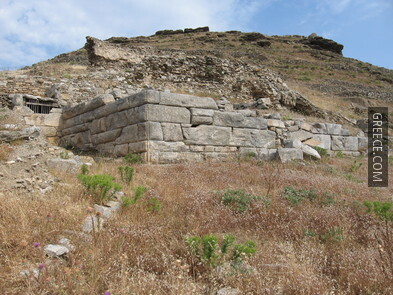 The famous Katapola Spring quenches the thirst of travellers with water of excellent quality which flows through an ancient aqueduct. 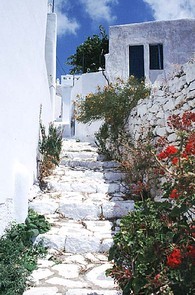 One will also notice the town's white windmills, blue and white little houses, courtyards full of flowers and trees, old chapels and paved narrow streets, and an impressive Venetian castle on the top of the bay. 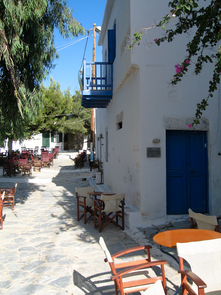 Langadas: It is a beautiful village 2.5km away from Aigiali. 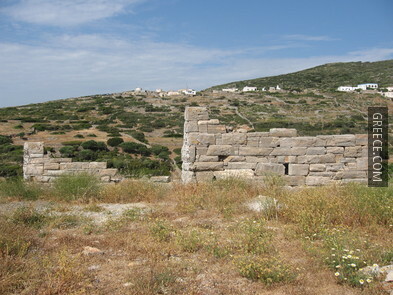 The vicinities of Langadas are divided based on their position on the hill: Kato Yitonia (Lower Neighbourhood), Vorina (Northern Quarter), Fanos (Chimney) and Loza. 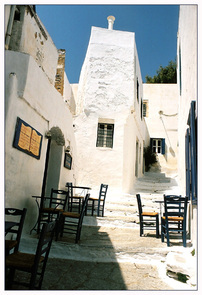 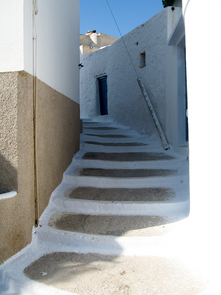 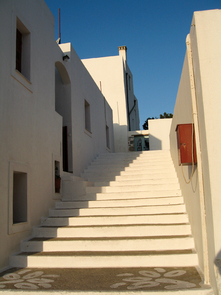 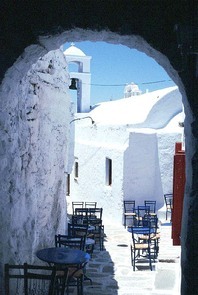 Narrow streets running under typical Cycladic arches connect the areas of the village, while the main street running on an east-west direction cuts the village in half. 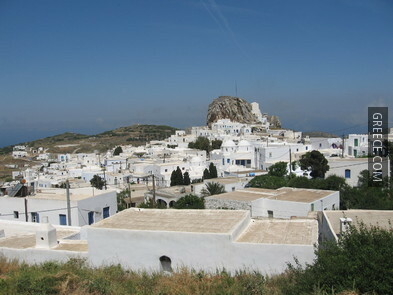 Potamos: This village on the hill looks like a balcony with a view to the Aegean. 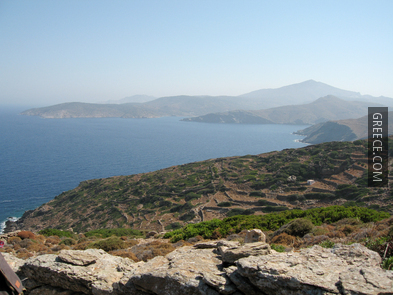 It is divided in two parts, Pano and Kato Potamos. 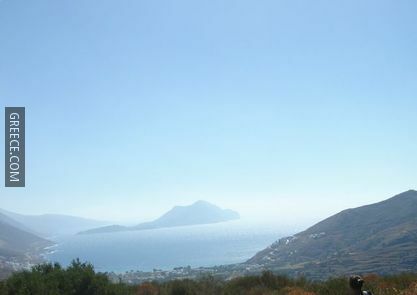 Agios Panteleimon: A beach with dark blue waters and access either by boat from Katapola or by foot from Ksilokeratidi. 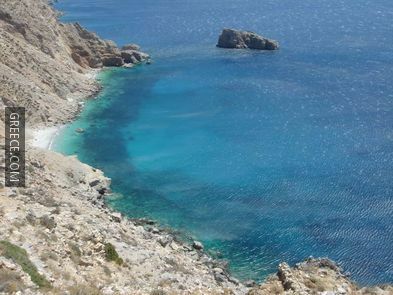 Agios Pavlos: It is a beach full of pebbles and can be accessed by bus from Aigiali. 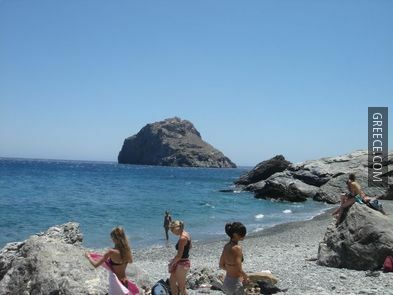 Aigiali beach: It is the biggest beach of the island. 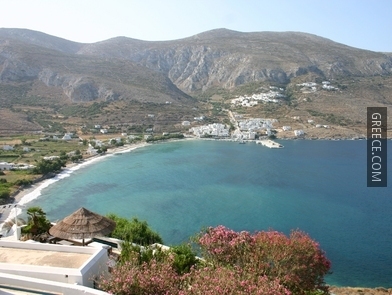 It has thin sand and clean waters, ideal for families. 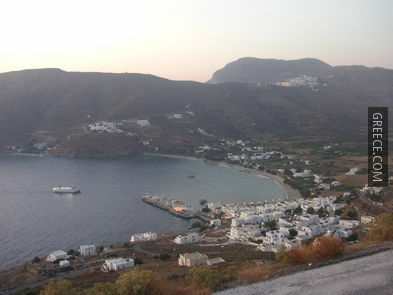 Many cafes and bars are situated along the shore. 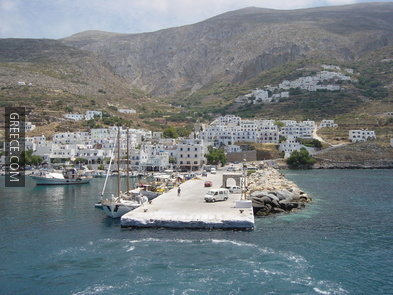 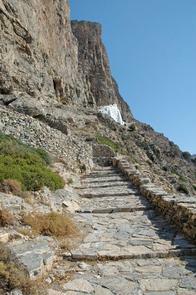 You can get to Amorgos by taking the ferry from Piraeus or Rafina in Attica. 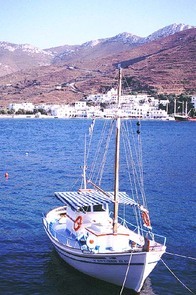 Most ferries dock either in Katapola or Aigiali. 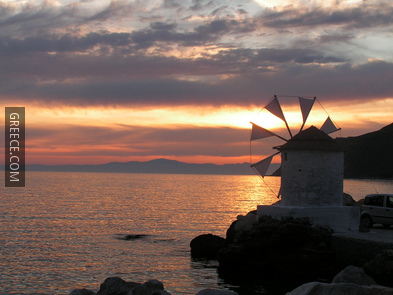 The trip lasts between 7 and 11 hours; during summertime, there are five hydrofoil services per week from Piraeus. 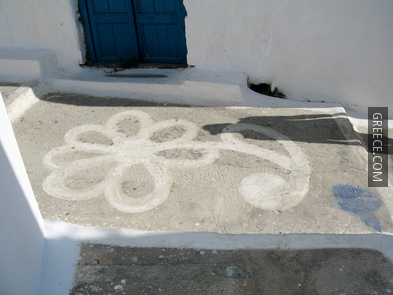 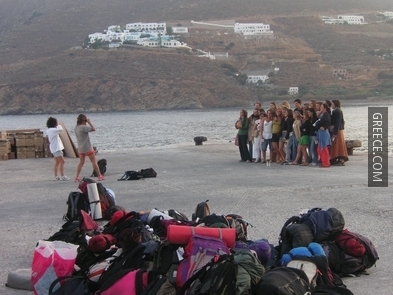 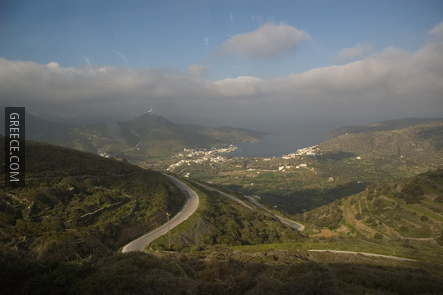 Amorgos is connected daily with Naxos, Koufonisia, Shinousa, Iraklia and Paros. 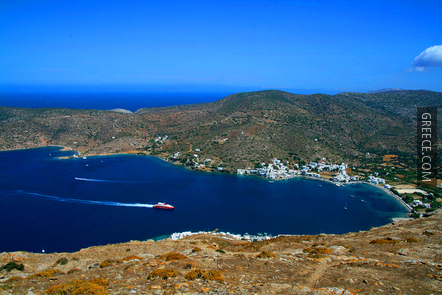 Ferries also serve Mykonos, Donousa, Astypalea and Syros on a weekly basis. 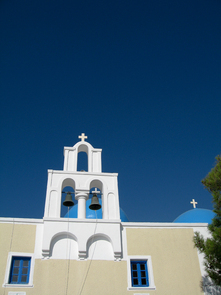 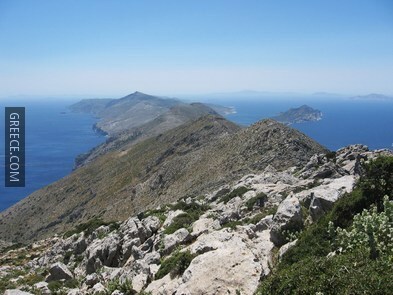 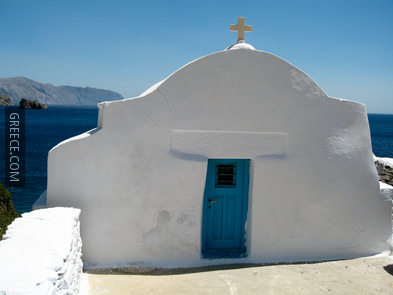 Amorgos has a temperate Mediterranean climate. 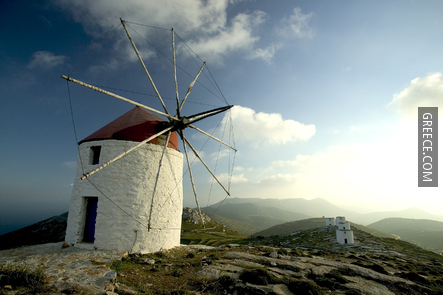 Winter is relatively mild with strong winds. 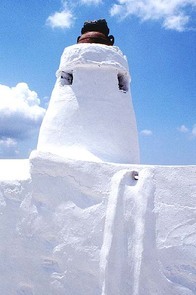 Summer is hot with cooling winds, especially during August. 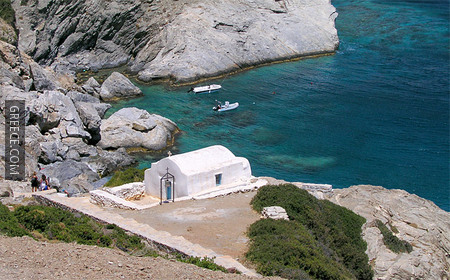 The best time to visit Amorgos is during spring, as the weather is nice, temperatures are not dramatically high and there is a low number of tourists. 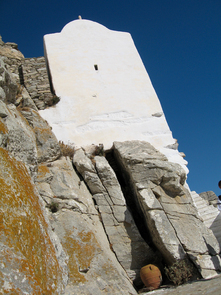 September and October are also ideal for a visit.